There are many details to think about when you are hosting an event. You need to decide what food and beverages you will serve and what decorations you will use to make your event stand out. You also need to select the venue where you will hold the event because sometimes it is easiest to host a private event outside of your home or office. There are many other details to consider before hosting a successful event. So how do you decide where to host your next private event? Here are some tips and ideas. What are the needs of your event? Are you hosting a corporate event, business meeting, birthday party, holiday celebration, rehearsal dinner, bridal shower, or other event? Think about the theme and corresponding decorations you need to make your event extra fun, festive, and special. How many guests do you plan on inviting? How many of those do you expect to attend? Will you have a seated event, or will guests stand and mingle? You will want to make sure the event venue you choose has enough seating space for your guests and that they are prepared for fluctuations in case your guest number changes. Every great event has even better food! What better way to gather people than with a satisfying and tasty treat? 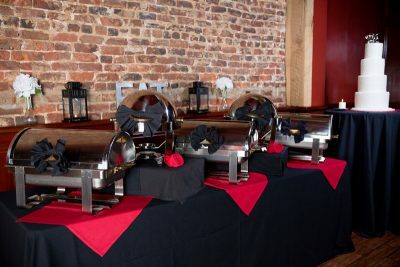 Before planning your event, decide if you want light snacks, a formal dinner, or a buffet-style meal. You should also think about the types of beverages you would you like to serve. 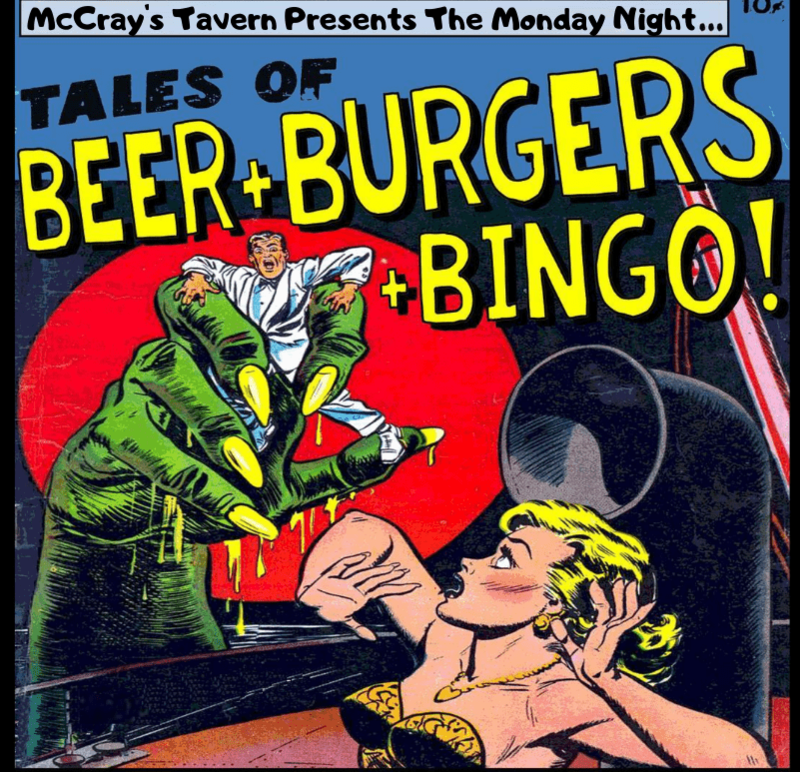 With several room and seating options, enough space to seat up to 100 guests, a long list of room amenities, and various menu options, McCray’s Tavern is the perfect place to host your next private event! 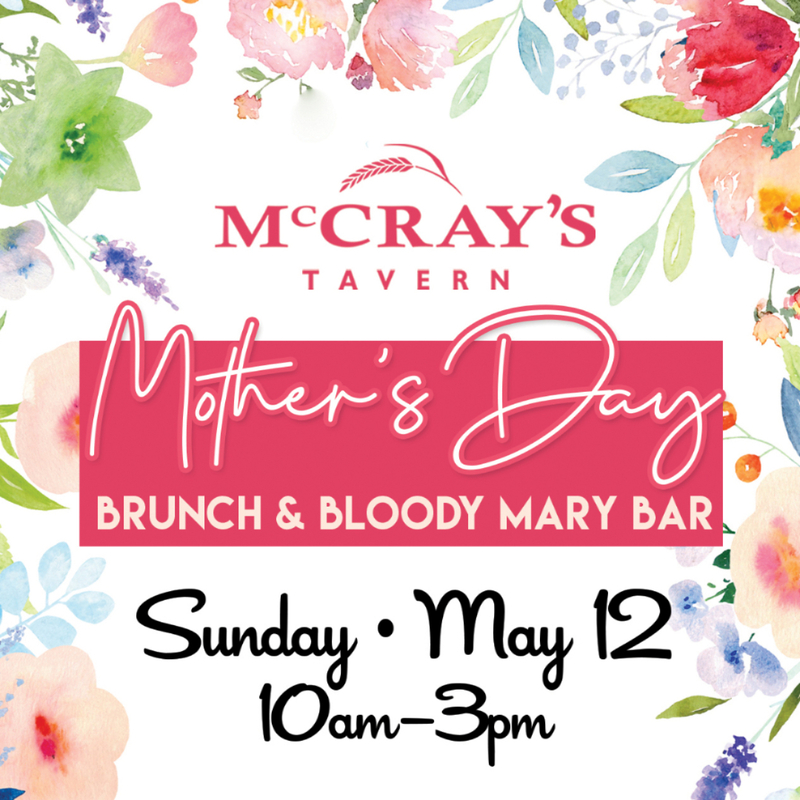 The McCray’s Tavern event staff is always dedicated to providing spectacular service and making sure your event is extra special! 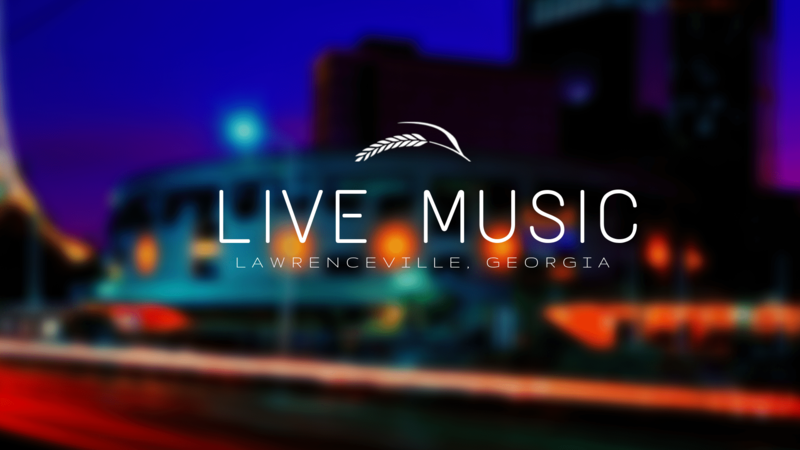 Located conveniently on the historic Lawrenceville square, McCray’s Tavern is easy to find and offers several options to choose from when planning your event! 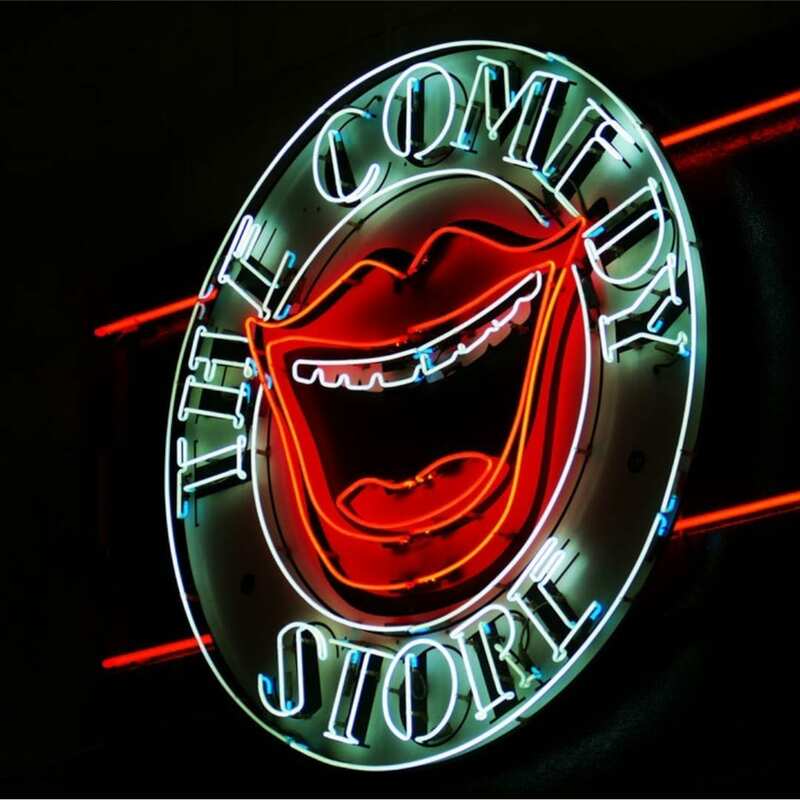 We offer a wide range of amenities to suit your event, including space for up to 70-100 guests. 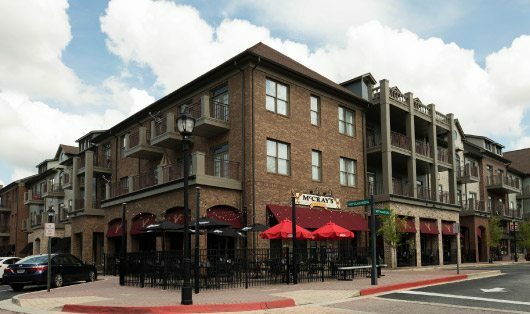 Our staff can comfortably seat up to 70 people for dining seating and 100 people for cocktail style events. 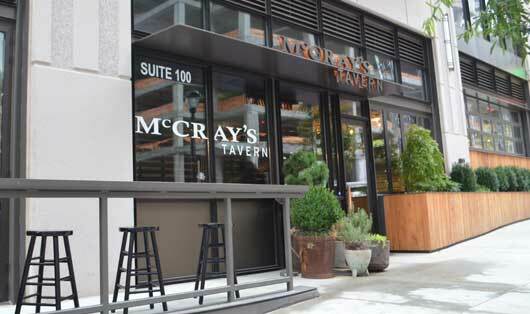 When you choose McCray’s Tavern for your event, you will receive a private enclosed room, private guest entrance, and two private restrooms. Wireless Internet and separate heating and cooling options will also be available. Having a slideshow or other presentation or simply just need some type of visual for your event? 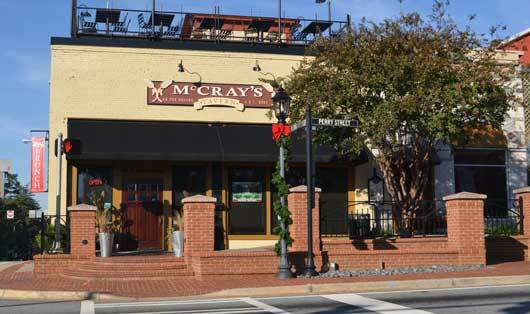 McCray’s Tavern provides an LCD projector, large 12’ x 6.5’ screen, and computer connections for you to display pictures and presentations. We can also offer custom menus for anyone who may have food allergies. 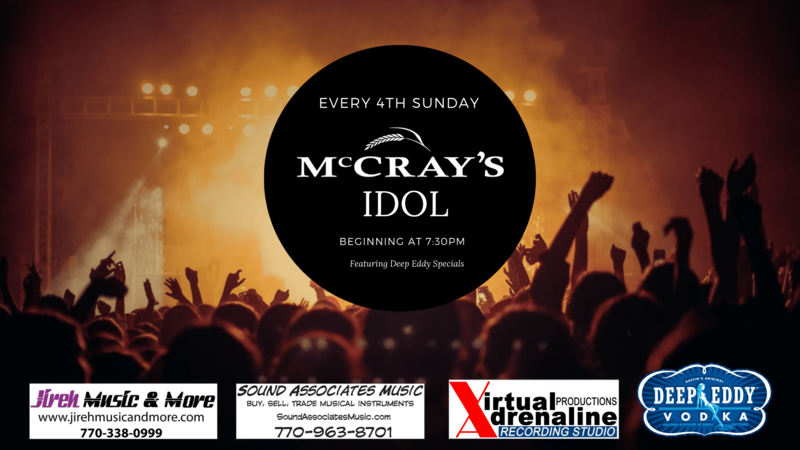 McCray’s Tavern in Lawrenceville has hosted many events and is dedicated to providing you with an experience like no other! Our event planning team is happy to help you design your next special event. We can also put together the perfect proposal for you and your significant other. Talk to our management team, as we can place roses on your table and provide you with a bottle of champagne.